It's so funny when people ask me, "What are you working on these days?" Because sometimes I don't know how to answer that without a preface of some sort. Anyway, here's a snippet of some of the stuff I've worked on that I can share to the public. I started working with Tiny Content Co, a production company that specializes in branded content. 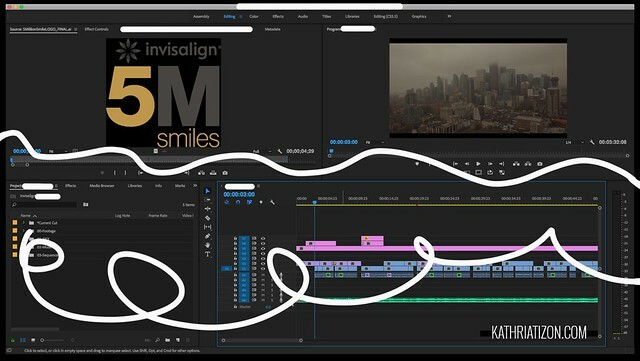 The first and hopefully not last project I worked on with them was for Invisalign's 5M project. It's a mini-docusode. I love the cinematography of this one, very easy to work with. 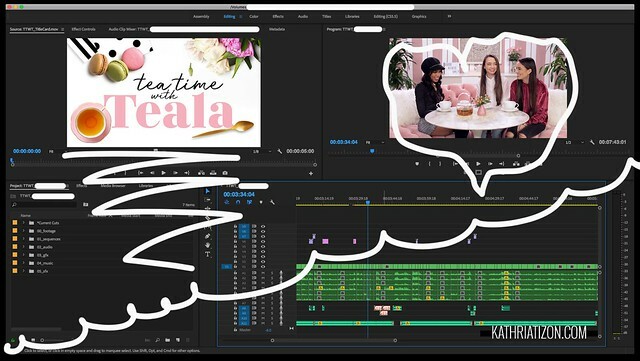 Next up is a gossip type online show featuring some of YouTube's top influencers. This show was fun to edit. I'm certainly not in their demographic of viewers, but this show was fun to edit. The initial edit I had of the show was lacking - a lot. I ended up recutting the show to make it more humorous and not so cut and paste gossip-type show. Anyway, I'm not exactly sure when this short series will air, but it's for AwesomenessTV. Check them out! Lastly, I'm working with Smashbox again. I edited a few social videos for them, and one is up on Instagram now! You'll recognize some faces in the video series. 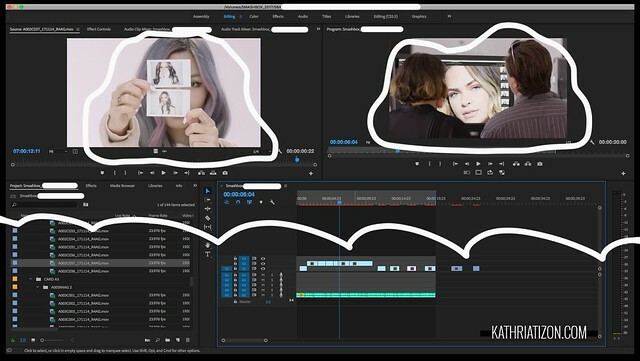 I'm such a sucker for BTS (Behind the Scenes) videos. I love shooting and editing them. I didn't shoot this one, only edit.